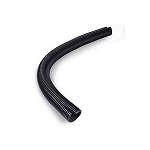 Available in a 2 meter stick or by different case sizes, our economical PVC plastic wire duct can be cut to any length. 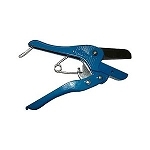 Each wire duct includes a cover to provide 360 protection. Pre-Drilled Holes: There are 2 holes, 1 small and 1 large. From their center point, they are 1 apart. Every 4 to 5 are another set of pre-drilled holes and these holes run the entire length of the wire duct. therefore you may receive a different shade from box to box. 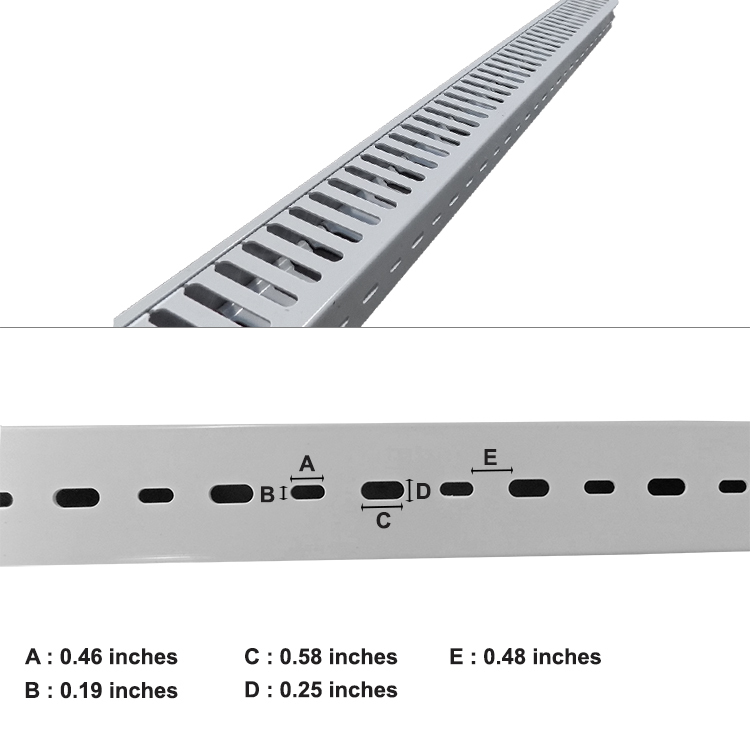 We ordered the 1.4" x 1.2" duct for doing some cable management. We love the product. It worked really well for us, is well priced, and looks fantastic. We got it in white and it has a glossy finish. I am thankful we found this source, and I am hopeful to use this again. On a side note, if you are looking for a total cost, be sure to account for shipping costs because they are pretty substantial. That was the only negative. 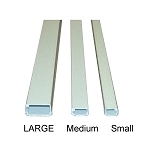 The 2x2 open slot wire duct was of good quality and good price. Ordering was easy and shipment was fast. Product met all of my expectations and you can't beat the price! Good quality product. Not cosmetically perfect, but gets the job done. Would purchase again. Excellent product at the best price! 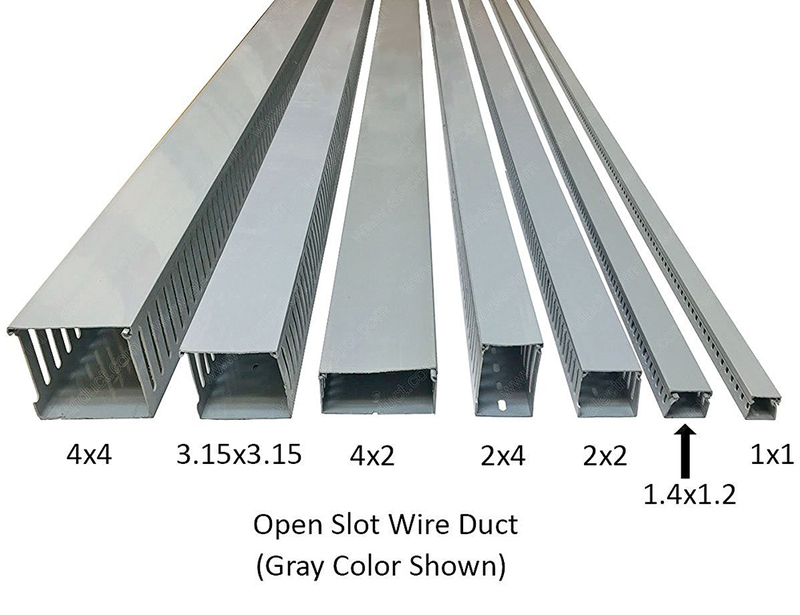 I recently purchased the 3 X 3 slotted wire duct. The product was perfect for my application and absolutely the best price anywhere!! I will purchase all my future wire duct from Electiduct. Good product. It worked well for routing the cables from the two computers and printer I have on my desk.